Zen Hideaway is located about a 20-minute drive from the centre of Ubud. It’s in a traditional Balinese village where you can stay and have a local experience. There are lovely views of a mini waterfall, the Ayung River, Mount Ayung and terraced rice fields. However, the thing that will amaze and delight is the swing hanging at the top of a hill between the coconut trees. The thrilling swing ride offers breathtaking views of the Ayung River and the jungle from above. Zen also has a private walking trail down to the waterfall and river, where you can relax and swim. During your stay, you’ll be right in the centre of local activities like dancing, farming and the locals love visitors. It can be an unforgettable experience to ride the Ayung River. Not only is the river a the source of life for the Balinese people, it also offers adventurous rafting experiences. The river has 45 rapids to keep you busy and an Ayung River rafting experience is a blast. There are several rafting companies, like Bali Adventure Rafting, which provide you with safety gear and an experienced guide. Yes, you’ll need to wear a helmet and life jacket! Most trips are around 10km and take about two hours. The adventure is short and fun and quite challenging. At the end of the river, the view is amazingly peaceful as you glide past rice fields and forest. 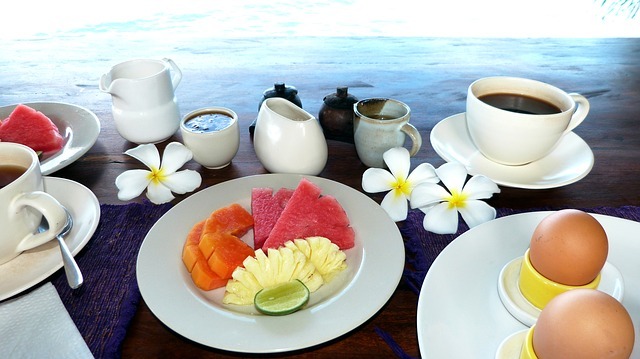 Paradise Ubud is a raw food restaurant in Ubud that serves vegetarian and vegan cuisine at very reasonable prices. What’s more, it has the world’s first organic vegan cinema experience. You can watch a movie in their in-house cinema too. This cinema is equipped with world-class facilities and seats 150 people. It’s a great way to while away a rainy day or to entertain the kids away from the beach. 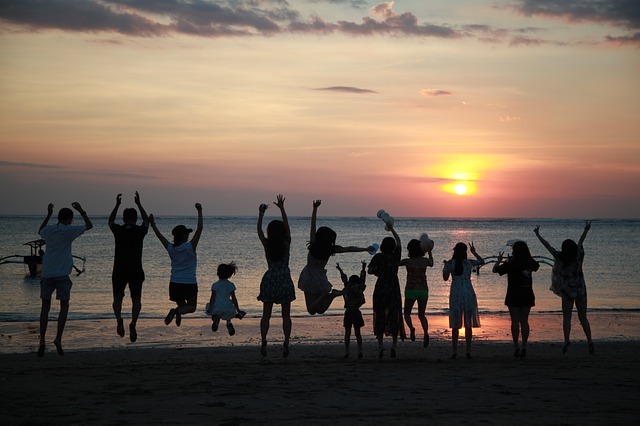 Bali is well-known as a destination for families. Whether it’s playing on the beach, soaking in the sun or just splashing around in the private pool of a villa, Bali is awesome for families who just want to chill out. And when you’ve had enough of lying around the pool, there are plenty of shops where you and the kids can spend a few dollars. Fortunately, the exchange rate is pretty favourable to travellers from most countries. Actually, Bali is a great place to shop for kids clothing, homewares and gifts. 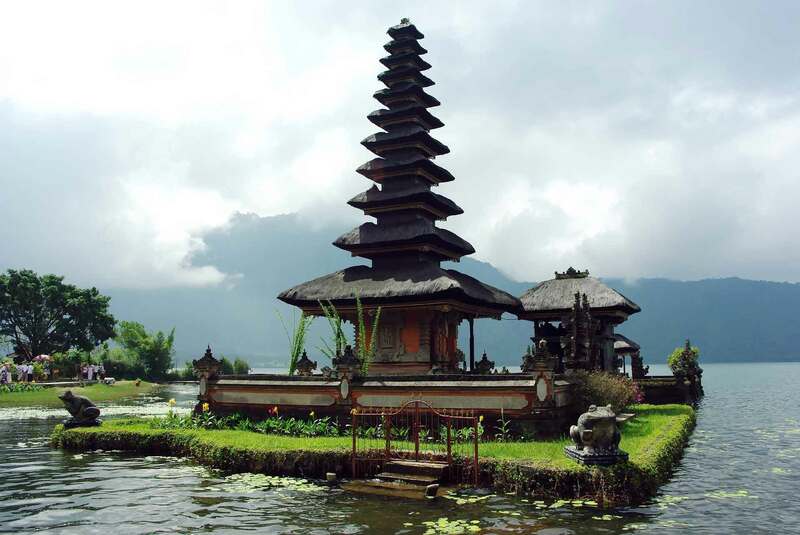 For families looking for a cultural experience, Bali has beautiful temples to visit. There are traditional arts and crafts that you can go out and enjoy with your kids all day long. And plenty of traditional cooking schools. In the evenings, most restaurants put on fire dancing, which never fails to entertain the kids. 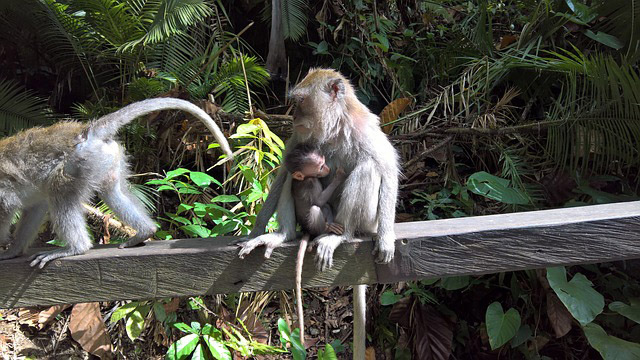 Here are some of the places that you can visit with your kids in Bali. The Waterbom at Bali offers thrills for the kids while you have a nice rest in the sun. Rent a gazebo and laze in it while you watch your kids play all day long. There are many other activities that take place at the Waterbom, such as the traditional dances and performances. This jungle park is located in the Bedugul botanical gardens. This park offers a great experience as it has small circuits for younger kids, which offers enough of an adventure they will absolutely love. But it also has swings that offer fun for teenagers and adults. Try tightrope walking for a thrill. You’ll be amazed how easy it is to walk on the rope (of course, there are safety nets to catch you if you fall!). A Bali Bird Park trip is the best option for nature lovers looking for a relaxing day away from the beach. The park is a nirvana for exotic birds, with over 200 bird species from all over the world. The kids will enjoy getting close to the birds and taking photos. Here you will also find a reptile park with huge snakes and Indonesia’s famous komodo dragons. This is a place where kids will definitely have lots of fun. Check out the lions and the elephants or go on a night time safari, when the nocturnal animals come to life. You don’t have to go to the zoo to see monkeys. They’re everywhere in Bali. But who doesn’t love a zoo? There are amazingly many different types of beaches in Bali, many of which have white sand and palm trees. For such a small island, the number of beaches is astounding. 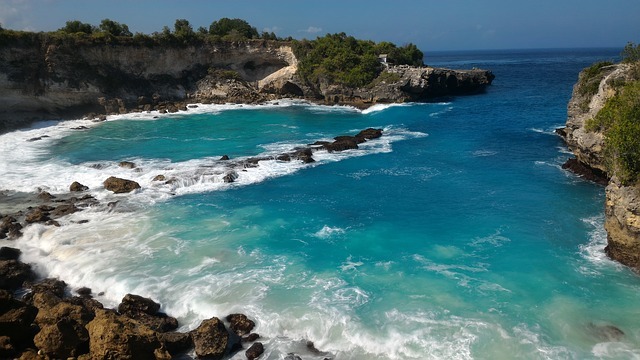 You can find top Bali scuba diving sites, cliff beaches (popular with the surfers) and plenty of black volcanic beaches. Here is a list of Bali’s best beaches. From soft-sand beaches to chill out on to busy beaches for fun in Bali. Jimbaran is located just under Kuta beach. 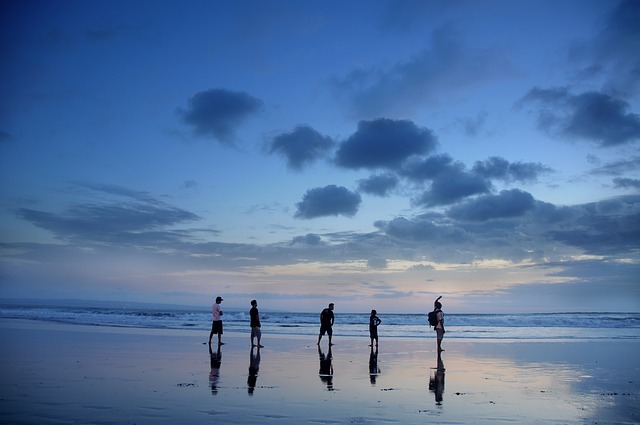 Unlike the other beaches located north of Jimbaran and popular among travellers. This beach has soft, clean sand and is away from the madding crowd. Unlike other Bali beaches, hawkers are not allowed here. So, once you’re on Jimbaran beach, you can relax in the sun and refreshing sea breeze without being hassled. And when the sun is about to set, and you get hungry, Jimbaran is just a stroll to a plethora of restaurants located right on the beach. Imagine eating grilled seafood washed down with a glass of wine by candle light. Bliss! Sanur Beach is a clean beach set along a walking path and home to a string of Bali beach resorts. A lot of activities take place on Sanur beach, from sunbathing on the comfortable sunbeds and massages on the beach to renting traditional boats for a tour along the coast line. You can also stroll along the walking path on the beach for a lovely walk. But don’t worry, it’s not too strenuous There are plenty of food and drink stalls along the way. Padang Padang beach is in a beautiful and secluded bay. To get to the beach, you need to climb down a few stairs. Soft sand and crystal clear water are the hallmarks of Padang Padang. Actually, the water is a brilliant green-blue emerald hue. So, it’s no wonder day, it’s a popular spot for surfers on big-wave days. But most of the time the water is calm and the atmosphere is relaxing. Balangan beach only has a couple of accommodation options, which makes it a quiet spot to spend a couple of days on the beach. Surfers come here to catch some waves, but at low tide, puddles form near the beach where you can lie in and cool down. The soft sand makes it a perfect spot for a stroll while enjoying the sunset. This black sand beach is a drawcard for surfers so if you’re into catching waves, you’ll want to stay here for more than a night. There are some decent accommodation options in Balian to choose from too. Bali is a bigger island than what most people imagine. One of the best things about Bali is the incredible variety of places to stay and the number of things to on the island. Bali truly offers something for everybody and every area is different. Regardless of whether you are looking for an active holiday loaded or a shopping and surfing escape, Bali has lots to attract visitors. Of course, choosing the right place to stay can make a huge difference. So, here’s a run down of the best places to stay in Bali. Seminyak is a city that combines modern and traditional ways of life that are casual. Shopping malls and high-end restaurant are easy to access and you can easily get to these places by taxi. Seminyak is the villa destination, where you can rent a private villa with someone to wait on you hand foot. You can even have a private chef. Some examples are Villa Lucia, with its typical Javanese climate, Villa Pablo, which get situated in the focal point of the stylish range of Seminyak, Villa Asta, an extravagant and tranquil five-room home. Kuta is the most renowned resort in all of Bali and has a huge selection of lodgings, shops, surf schools, restaurant, spas and the most event nightlife on the island. Kuta has turned into a surfing mecca and a great spot to learn how to surf. This beach destination attracts a younger crowd who love to party. Alongside Kuta is Legian, whith is a touch more upmarket and less crowded than Kuta. Legion offers a range of cafes, restaurants and shops. There are also a few classy bars. There are plenty of hotels and villas here too. Ubud is Bali’s cultural centre and a residential area with amazing views. Thin of perfect green rice fields and cute craft shops. 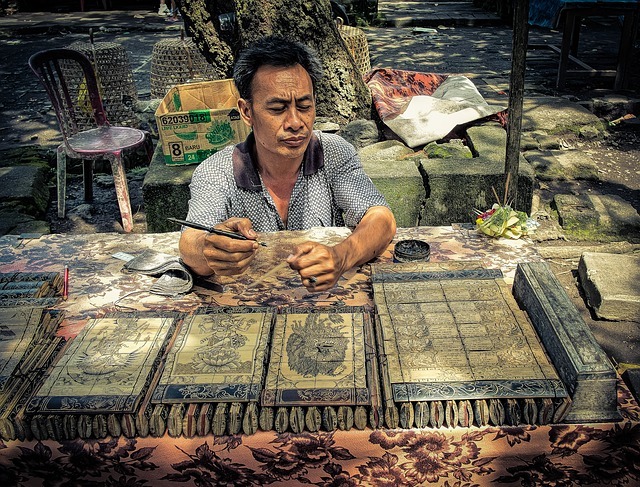 Ubud attracts those who are drawn to the spiritual side of things. There are many yoga schools, spas and vegetarian cafes. Jimbaran Bay is renowned as a romantic spot. There’s a lovely seafood restaurant on the beach and it’s a wonderful place to watch the sunset. There are lots of five-star resorts and hotels here, which makes it a great spot for a luxury holiday. Gianyar is situated in east Bali and is the place to go for local experiences. You can visit sanctuaries, markets and see traditional food and crafts being produced. If you’re looking for a hotel, here are TripAdvisor’s top 10 in Bali.